Post news Report RSS	Attachments! Another week closer as the horde approaches on the horizon! Hey all! I know most of you are amped to get your hands on the game. Hope you cleared your calendars for Friday night. It is a busy time for us, as we get closer to release. Work on the final update to the demo is underway. The update will be before early access release, though currently we have some things to fix and polish. 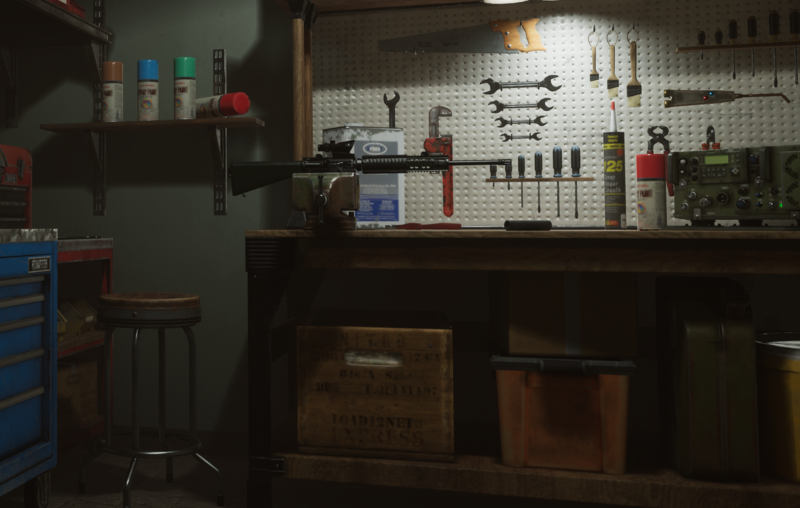 Last week of May, you got a look at the weapons room, but did you noticed the workbench with the M16? That is where you will be able to add attachments and deck out your weapons. Though if you take your weapon into PvP and lose it there. You will have to find a new weapon. In fact you may even see it again, used against you if someone picks it up and escapes with it. So make sure to choose your load out wisely. This feature will be slowly implemented as we progress from early access to full release. What attachments would you like to see in game? Let us know in our Feature Request channel! Doomsday approaches! Spread the word!